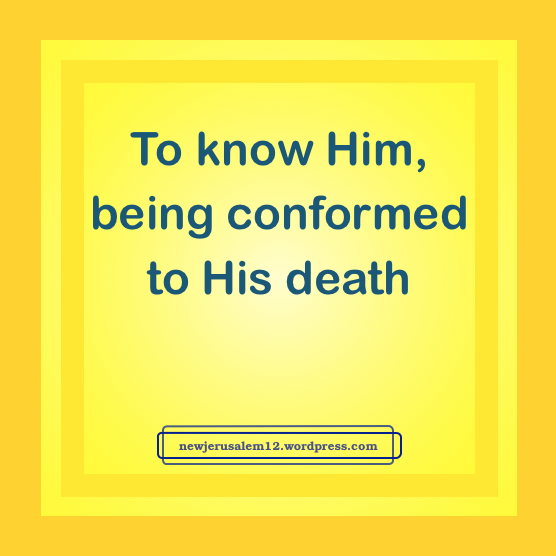 At the Lord’s second coming He will redeem our physical body, bringing us into full sonship (Rom. 8:23), which is to transfigure our mortal body to be like His body of glory (Phil. 3:21). This is a step on our path to the city of glory, New Jerusalem. The graphic has the second verse of the song about this redemption. Christ is our hope of glory today (Col. 1). He is also the mystery of God (Col. 2:2). The song says “He shares with me God’s fulness.” This is Colossians 2:9-10, “In Him dwells all the fullness of the Godhead bodily, and you have been made full in Him.” John 1:16 is similar, “of His fullness we have all received, and grace upon grace.” More about the fullness. Jesus Christ is God; He is in us and we are in Him (John 14:20). We are joined to Him and one spirit with Him (1 Cor. 6:17). The more we are renewed and transformed in our soul, the more we are blended with God. Our transformation is “from glory to glory” and this glory is fully God’s expression, both now and unto New Jerusalem. In New Jerusalem we will share God’s glory with Him forever. The city “has the glory of God” and “the glory of God illumines it.” This is our wonderful destiny. Revelation 22:1: “He showed me a river of water of life, bright as crystal, proceeding out of the throne of God and of the Lamb in the middle of its street.” We continue with verses about the rich/bountiful supply flowing to us today just as the water of life will flow to us in New Jerusalem. Ephesians 4:15-16 exhorts us to hold to truth (which is Christ) in love that we may grow up into Him in everything. These verses then tell us a rich supply flows out from Him for the building of His Body in love. This love is not our love but is His love in us (1 John 4). 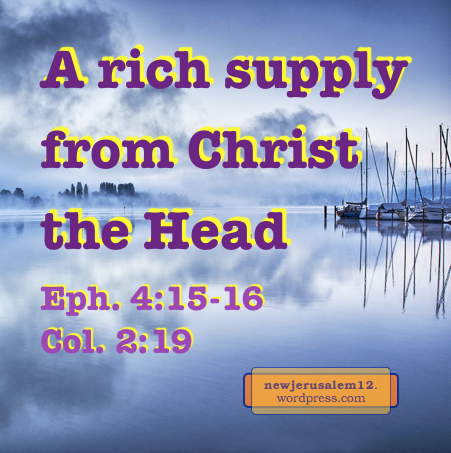 The rich supply out from Christ the Head results in the building up of His Body for His purpose. Paralleling Genesis 2, this shows us Christ’s corporate Body comes out from Him and is unto Him. Colossians 2:19 is a companion verse to Ephesians 4. 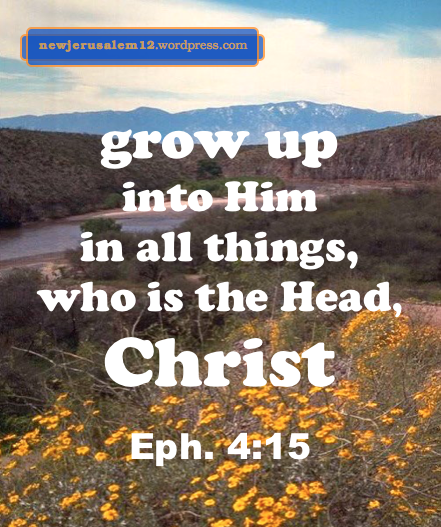 Here, by holding the Head (Christ, the truth) His Body “being richly supplied and knit together” by what He supplies through His members, “grows with the growth of God.” God in Himself is perfect and does not grow, but the rich supply of the Spirit results in the increase/growth of God in us, which is very necessary. 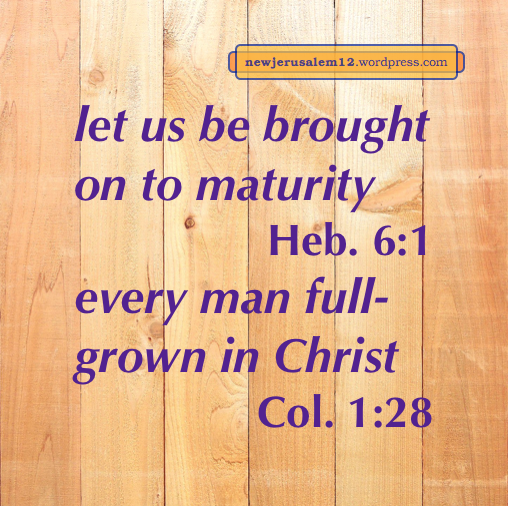 The maturity of this growth brings us to New Jerusalem. Peter tells us that our ministering should be “out of the strength which God supplies; that in all things God may be glorified through Jesus Christ” (1 Peter 4:11). Again, the supply comes out from God and the glory returns to Him. Peter also tells us that by applying all that he presents in 2 Peter 1:3-10, “the entrance into the eternal kingdom of our Lord and Savior Jesus Christ will be richly and bountifully supplied to you” (1:11). The spiritual reality of the eternal kingdom is here today, as in Romans 14:17. New Jerusalem is the eternal manifestation of this kingdom, the eternal product of this rich, bountiful supply. The New Testament temple is spiritual, not physical. 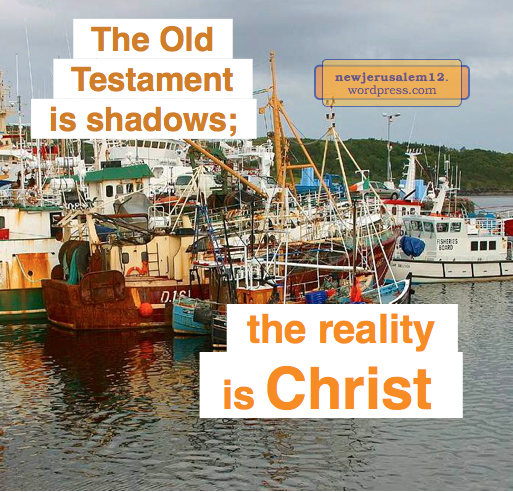 We do not need the Old Testament’s physical temple; nevertheless, the record about it in the Bible depicts many spiritual realities today and in New Jerusalem. The ark in the holy of holies contains the manna, the budding rod, and the tablets of the covenant (Heb. 9:4). The budding rod (Num. 17) started as a rod, a stick, lifeless and cut off. During a night before the Lord it “put forth buds and produced blossoms and bore ripe almonds.” This is a picture of resurrection, and is related to having authority in the divine life. Colossians 2:12 says we were “Buried together with Him in baptism, in which also you were raised together with Him through the faith of the operation of God.” This is our initial experience of being one with Christ in His death and resurrection. The budding rod signifies a much deeper experience of the same resurrection. It is desirable that we all enter the holy of holies to experience this in our current Christian life. Since New Jerusalem is the eternal holy of holies, at that time we will all have this deepest experience of Christ in resurrection. The tablets of the covenant point to the Old Testament law. This has been replaced by the inner “law of the Spirit of life” (Rom. 8:2). To experience the controlling, leading, restricting, and guiding of the eternal life within is the experience portrayed by the tablets in the ark. 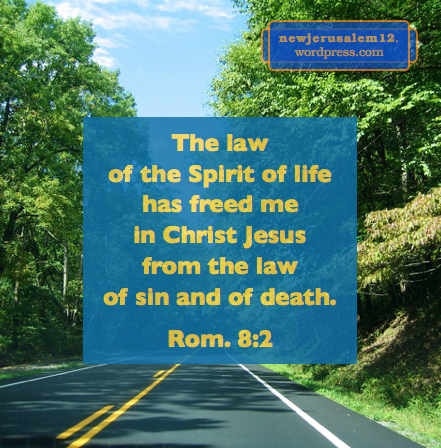 Today, when we live by this inner law, “the righteous requirement of the law might be fulfilled in us, who do not walk according to the flesh but according to the spirit” (Rom. 8:4). Today this is an exercise but in New Jerusalem it will be spontaneous and continuous. Christ in us is the essence, the center, the focus of our Christian life. Yet, although He is mature and perfect in Himself, He needs to grow to maturity and be perfected in us, otherwise we remain “infants in Christ” (1 Cor. 3:1). Here are a few verses about our Christian growth and perfection, plus links to posts about this subject and its relation to New Jerusalem. Matthew 5:48: You therefore shall be perfect as your heavenly Father is perfect. Colossians 1:27b-28: Christ in you, the hope of glory, whom we announce…that we may present every man full-grown in Christ. 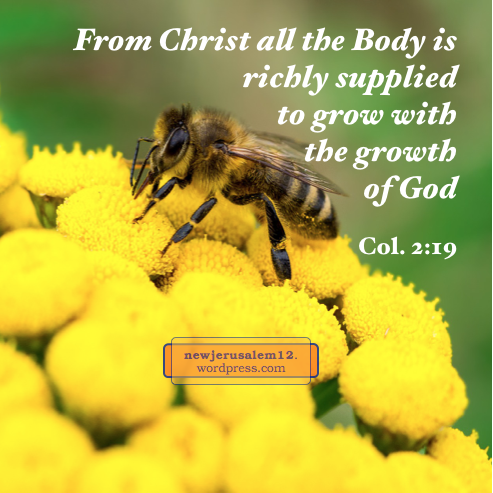 Colossians 2:19: holding the Head, out from whom all the Body, being richly supplied and knit together by means of the joints and sinews, grows with the growth of God.